Don’t you hate when you call a service provider, they say they will be there within the hour and you end up waiting around all day for them to arrive? Well, it doesn’t have to be this way! San Antonio Car Key Pros has a local team of experts for the best locksmith services in San Marcos. We take great pride in being able to provide our customers with top-quality licensed services, competitive and upfront prices and guaranteed quick arrival times of 30 minutes or less. This means that you can look forward to great service available in your neighborhood for just about any lock and key related problem for residential and commercial properties. And as always, you’ll love our honest and reliable car key replacements in San Marcos. If you’re planning on remodeling your home, you must consider a lock upgrade. We can install a variety of systems that will be both visually appealing and will utilize the latest in high-tech locks. We will be happy to conduct a security audit and provide tips and suggestions to help you decide which types are right for your needs and your budget. Let’s face it, lockouts usually happen at the most inconvenient times, like when it’s the middle of the night and your house key broke off and got stuck in the lock. Luckily, you can count on our 24-hour locksmith services in San Marcos for all types of difficult situations. Lockouts: One of the most commonly lost items happen to be house and car keys. 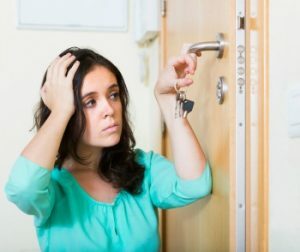 So, it’s no surprise that so many people find themselves locked out of their home, office, or car. Not to worry, when you request our services we promise we will be at your location within half an hour. Burglary Damage Repair: A break-in can be a very scary situation. After you call the police and make sure everyone is safe, you should give us a call. We will access any damages to your locks and make repairs right there on the spot. Or, you might decide you want to upgrade your system to something more advanced. In that case, we carry all of the latest tools and equipment to install new locks and help restore your sense of security. We can also perform lock changes and rekeys immediately. Broken Key Removal: Many times, locks can get stiff causing a key to get stuck. Or, the weather may cause a lock mechanism to freeze. To avoid problems, it is a good idea to use a lock lubricant every once in awhile. However, if a stuck key becomes a broken key, we can help. We will safely remove any broken pieces still in the lock, replace the broken key and perform any necessary repairs. As a local small business ourselves, we understand how important it is for companies to keep their property protected. That includes making sure that your property meets all safety regulations and industry standards. No doubt about it, the San Marcos team from San Antonio Car Key Pros does it all. Feel free to contact us to find out more about our amazing locksmith services or to request emergency services. Locksmith Services In San Marcos https://carkeyssanantoniotx.com/locksmith-services-san-marcos/ 3.7/5 based upon 6 reviews.